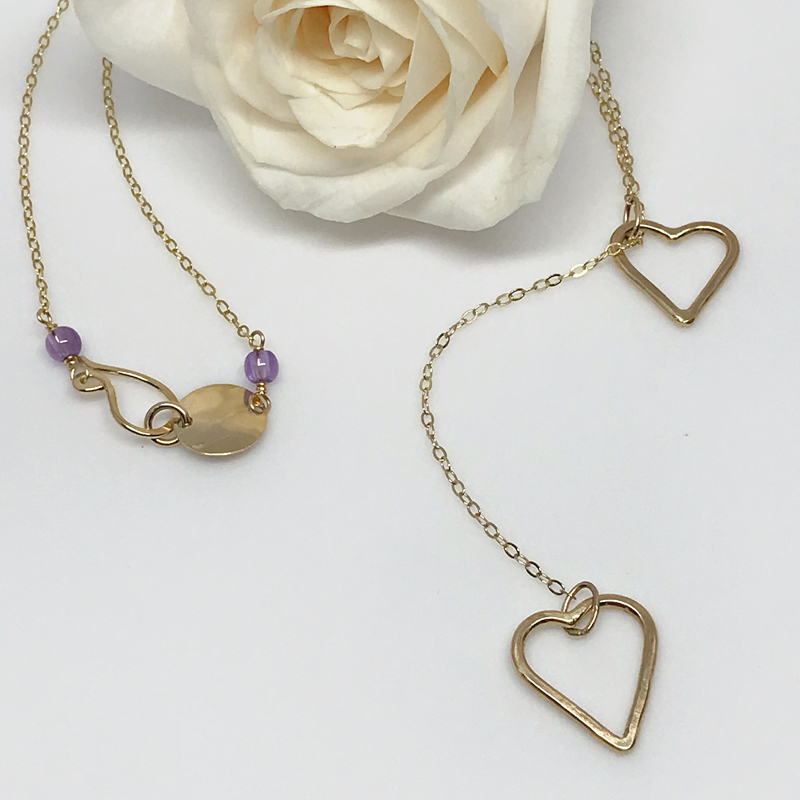 Two delicate open hearts create this gold heart lariat style necklace…beautiful perfection. 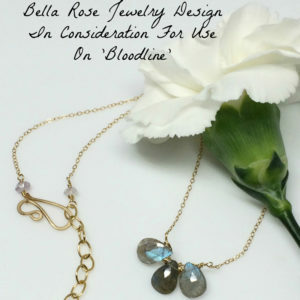 You'll have so many wardrobe option with this gold lariat style necklace. Gold filled open heart lariat necklace. Two hand crafted open hearts suspended from delicate strands of gold filled chain. Each strand is a different length. 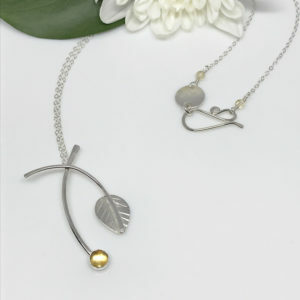 The longer strand runs through the shorter one creating a lariat style necklace. You’ll find that most lariat necklaces are somewhat adjustable. 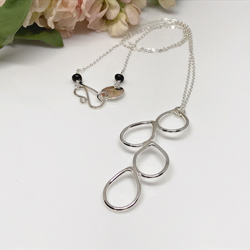 However, due to the length of the hearts, this necklace is in a fixed position. Each heart is hand cut and formed from gold filled metal. For this reason, every heart will have slight variances making each one truly unique. Amethyst gemstones adorn the chain at the clasp. Amethyst is the birthstone for February, making them the perfect gift for her birthday as well as Valentine’s Day. Not to mention a fabulous gift anytime of year.